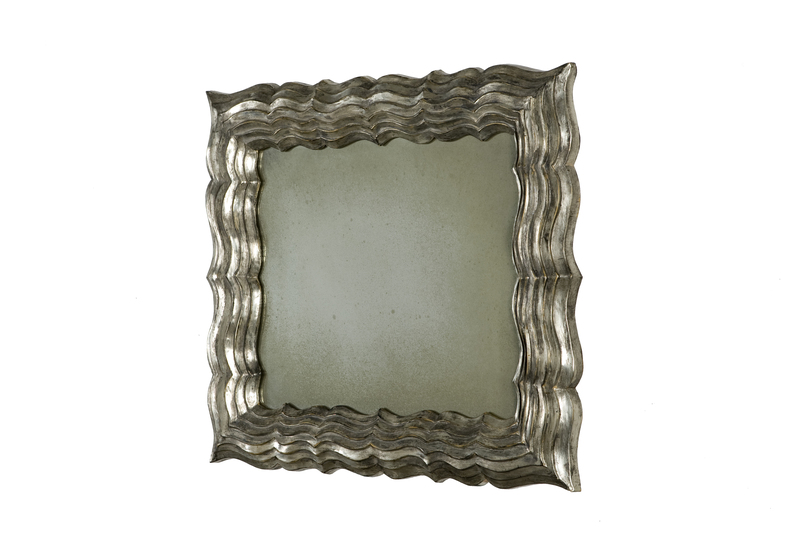 Frame Masters offers a wide range of mirrors and custom mirrors for retail chain stores. 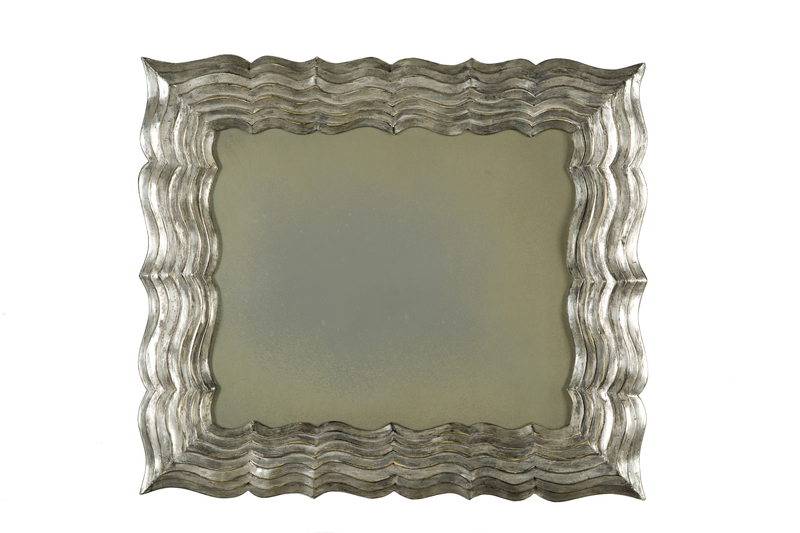 Whether you need custom mirrors for their functional purpose or decorative aspect, we have the answers for you. 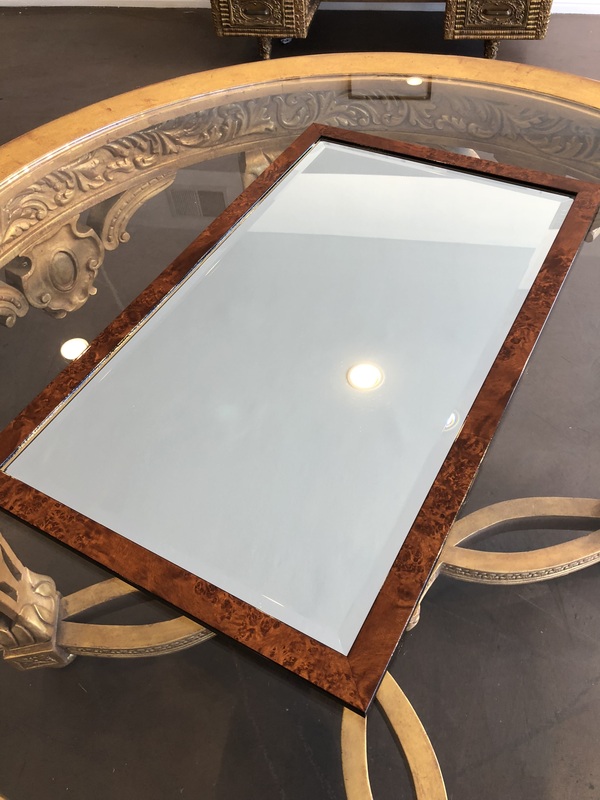 At our showroom you will find thousands of frame samples and a huge array of mirror choices at display, including Clear, Antique, Restoration and Colored Mirrors . 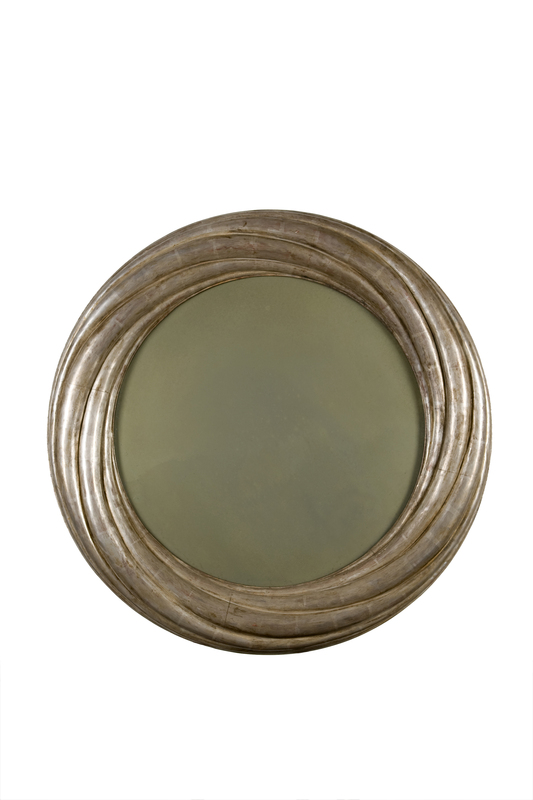 We offer Starphire Mirror for its optical clarity & transparency. 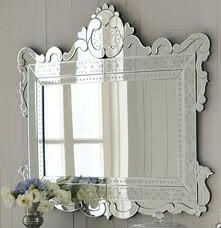 All mirrors can be beveled to your specification. 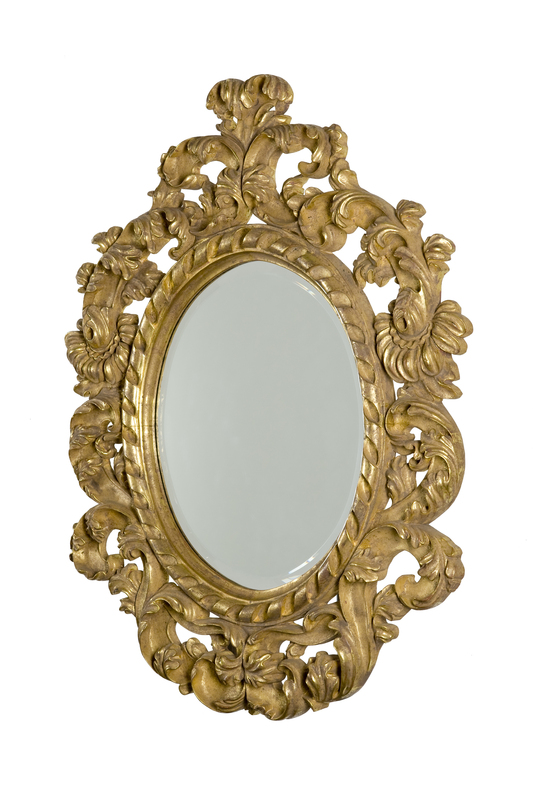 In most cases your custom mirror is fabricated and framed within one week. 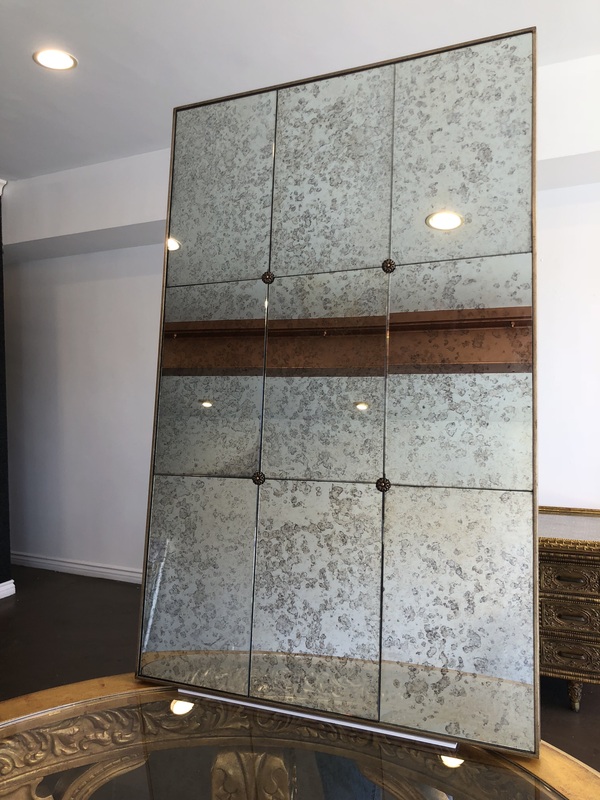 We manufacture custom full length mirrors for retail chain stores restaurants and Hair Salons Studios. 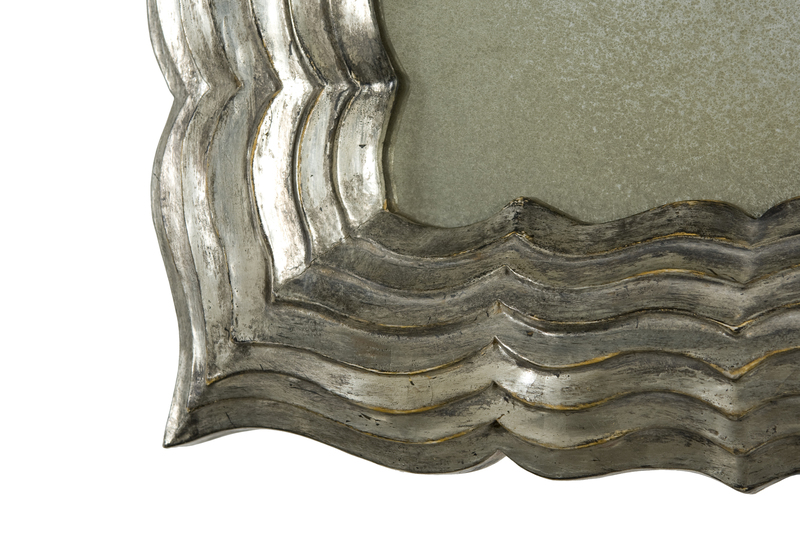 Custom wall mirrors can be created in any size by mixing and matching any frame moulding and mirror fabrication. 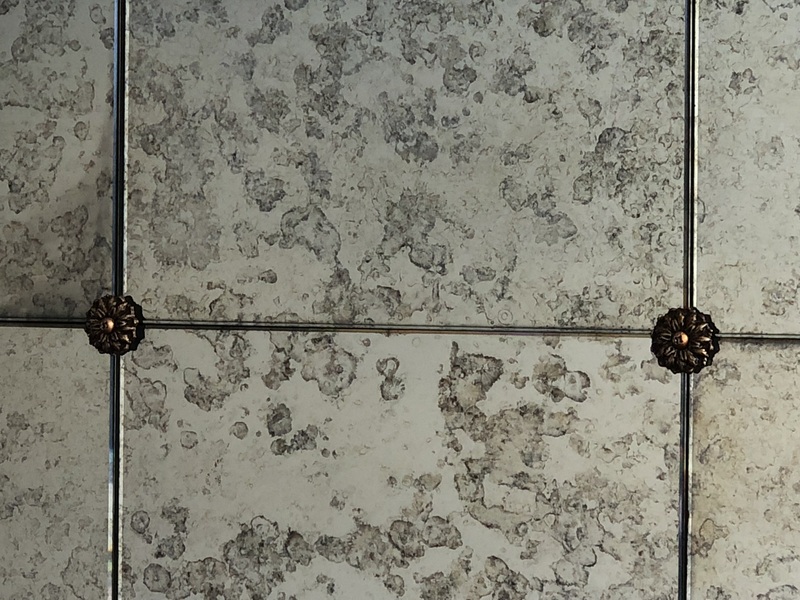 Our designers will help you to choose that perfect combination, whether you are choosing a Custom walled mirror for the bedroom, Vanity, or your Fireplace. 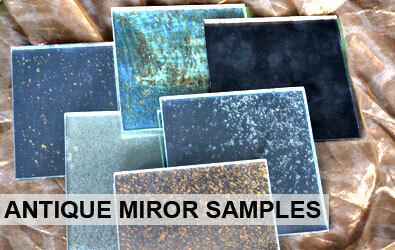 Several options for mirror safety and mirror installations are available. We can also repair your frame or replace your damaged mirror. We are able to crate and ship to your location. Please contact us at (323) 466-9999 to discuss your needs and we will be happy to provide you with a free quote. 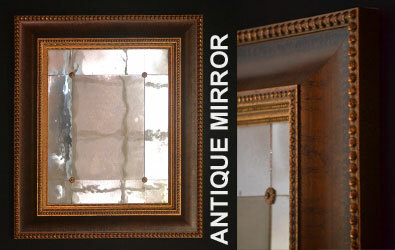 Large mirrors are our speciality : 1" wide flat black frame with 1/4" fabrication clear mirror and safety backing. 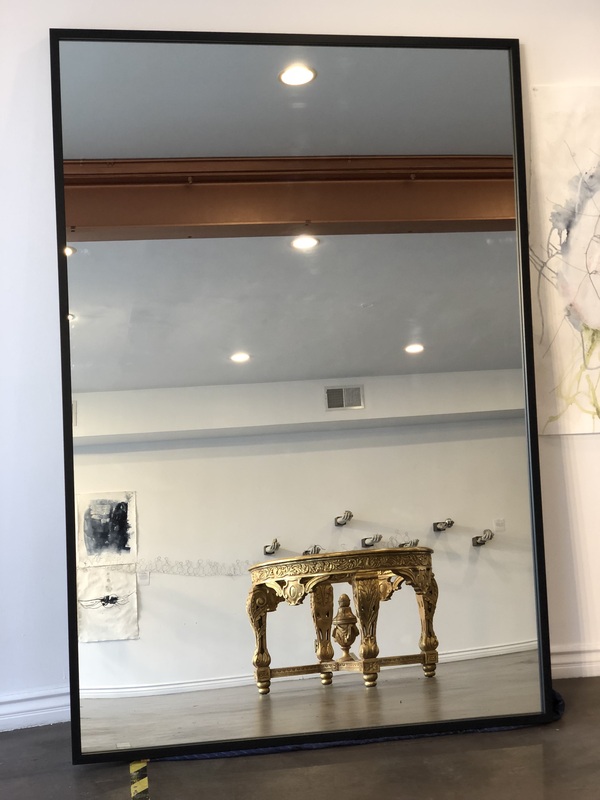 56" x 82"
Custom multi panel mirrors. 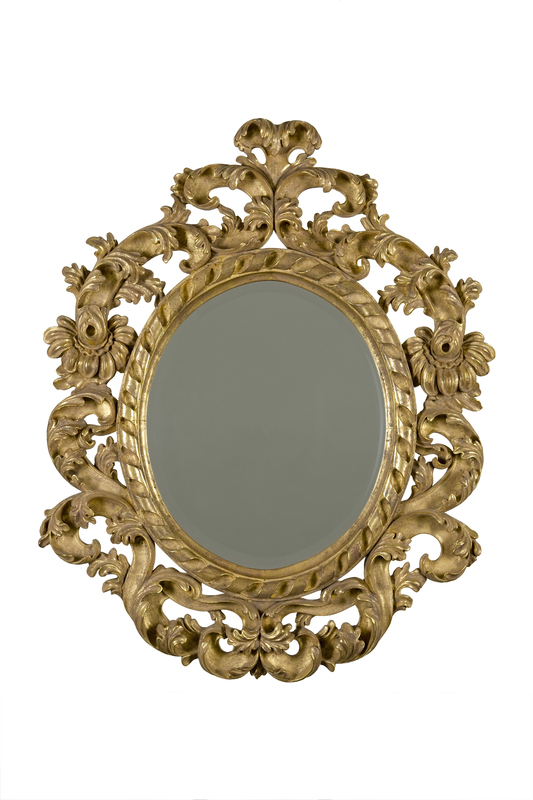 Choices of Clear mirrors, Restoration Mirrors or a variety of Antique Mirrors are available. Custom shaw-Green, Leather wrapped Etc available on request. 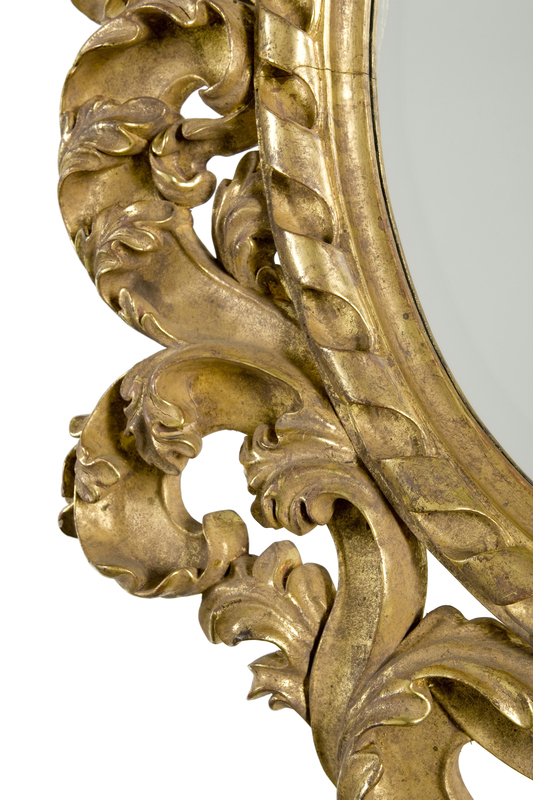 Cistom Hand Carved and Gilded frames are a perfect way to creat a great looking Mirror frames. 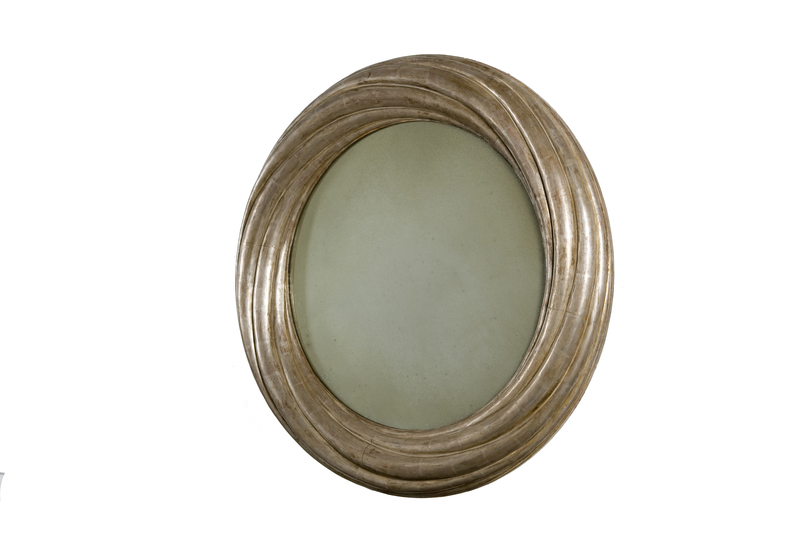 A large variety of Antique Mirrors are available.